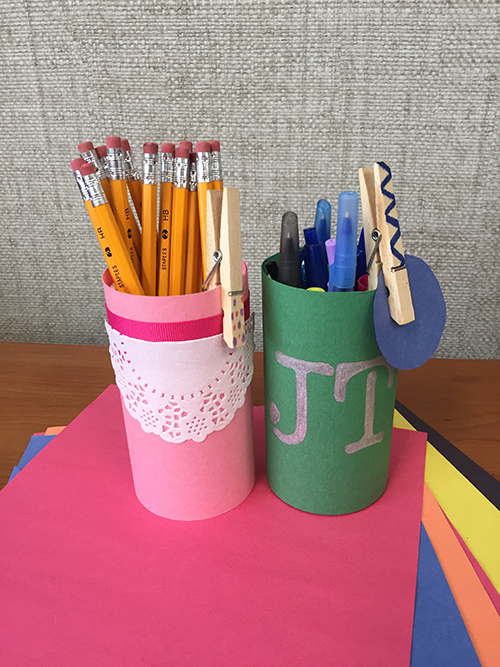 Get things back in order with this DIY Pencil Holder made from a recycled Old Orchard Frozen Juice container! These pencil holders are super simple and can be decorated really however your child would like! Kids can fill them with their pencils, markers, crayons, etc.These holders are light weight and are great way to keep your kid's desk organized. Do you have a teenager? Glue a magnet on to the back and they can organize their lockers! 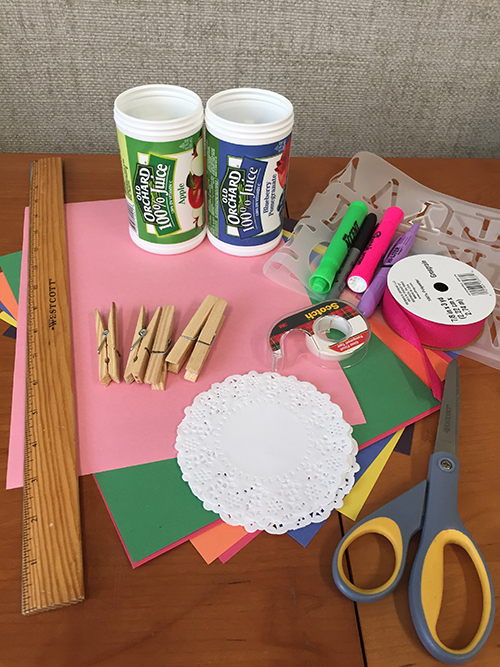 Optional: doilies, ribbon, clothes pins, markers, stencils, any decorations you would like! Step 1. Cut 5" strip of paper to wrap around container. Step 2. From here it is a free for all. Add decorations. Some suggestions: wrap with ribbon, stencil on initials, add polka-dots, use clothes pins to state what is in each holder or to hold on to important memories (tickets, reminders, to-do lists).